How Many Combinations Are Possible Using 6 LEGO Bricks? Mathematician Søren Eilers was intrigued by a LEGO-related math problem. 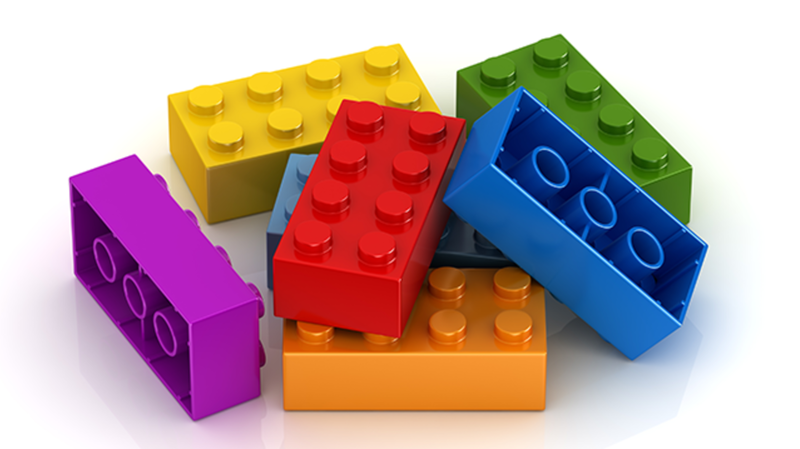 Let's say you have six "standard LEGO bricks" (the rectangular 4x2 bricks seen in the original LEGO patent). If you fit them together, how many possible structures can you make? This question was first officially "answered" in 1974, and LEGO mathematicians arrived at the number 102,981,500. Eilers was curious about the mathematical methodology behind that number, and soon discovered that it only covered one kind of stacking—thus, it was dramatically low. So he wrote a computer program that modeled all the possible brick combinations. After running the program for a week, he ended up with a massive number: 915,103,765 combinations. Then, of course, Eilers had to ask what happened if you added a seventh brick, or an eighth, and so on. The math gets exponentially more time-consuming with each addition. Even with a revised version of his program running on a modern computer (which can now handle the original six-block calculation in just five minutes), calculating the eight-brick solution takes about three weeks, and a nine- or ten-brick solution would "probably take years. Maybe hundreds of years." years to compute the correct number. After some 5,000,000,000 years we will have to move our computer out of the Solar system, as the Sun is expected to become a red giant at about that time. If you like this stuff (and have the math skills to decipher it), dig into the academic paper "On the entropy of LEGO" by Bergfinnur Durhuus and Søren Eilers.